The first VAC expedition of 2016 was to the Delayed Harvest section of the South River on April 30 to fish for trout. 11 VAC members and 2 guests made the trip to Waynesboro. The river had a good water level and flow after recent rains. This provided lots of nice deep holes, runs and riffles for the group to fish in the upper end of the DH section. ​Bob Brown and his guest Bill Early were schooled by a local lad in the proper bait to use to catch trout from a feeder stream of the South River. The answer? Corn! The boy had pictures on his cell phone to back up his boasting. Bob and Bill fished streamers in the hole that the boy showed them but the trout weren’t hungry after eating corn all morning. Mike Ostrander again proved that the power of the 2” White Grub and his angling skills cannot be denied. Mike caught ten different species of fish on this lure including 2 brown trout, a rainbow trout, a brook trout, a few smallmouth bass, 2 largemouth bass, fall fish, rock bass, green sunfish, a red-breasted sunfish and a horny-head chub. 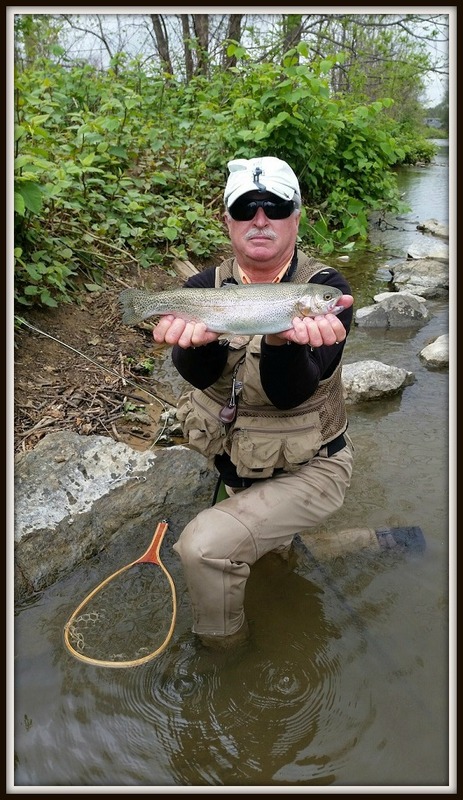 David Nobles caught a 15” rainbow trout on a size 12 Bead Head Prince nymph. Eric Webster caught an 18” rainbow trout on a size 16 Hot Spot Bead Head Pheasant Tail nymph. Although the sky was cloudy and air temperatures were in the low 50’s all day it didn’t stop anyone from having a great time fishing and socializing. Nearly everyone caught at least one trout and everyone caught fall fish and rock bass. All agreed that the trip was a success and they were glad that they participated in the expedition.